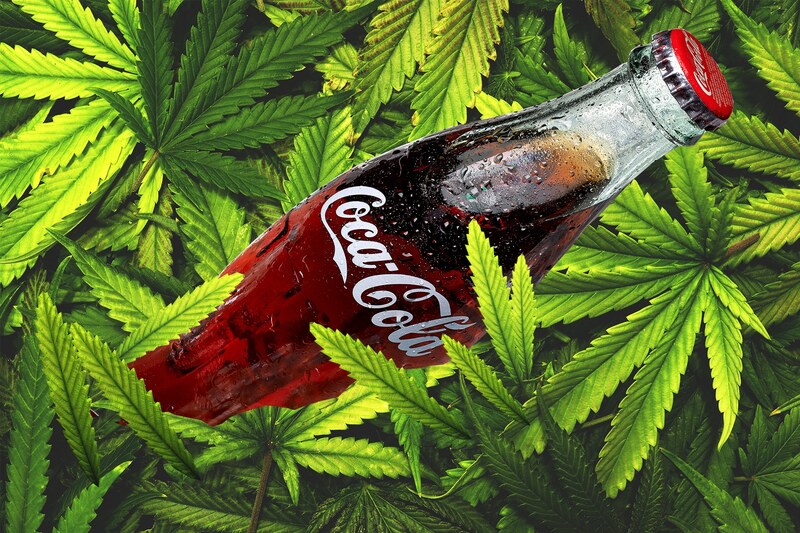 Could Coca-Cola Be Preparing a Cannabis-Infused Drink? With the cannabis becoming very popular, Coca-Cola is trying to become a part of this thriving industry. As such, the company is said to be planning on producing cannabis-infused drinks. According to some reports, the company is currently in talks with a Canada-based marijuana producer, Aurora Cannabis, for the possibility of infusing cannabis into their drinks. Coca-Cola definitely doesn’t have any plans of making their consumers high by infusing cannabis on their beverages. Instead, they plan on creating health drinks that will allow people to benefit from the health benefits of cannabis. These drinks will be infused with CBD or cannabidiol, which doesn’t contain any psychoactive effects, unlike the THC. The cannabidiol is a compound obtained from cannabis that comes with several health benefits, including anti-nausea, anti-inflammatory, and anti-seizure. It will not make one feel intoxicated unlike the THC, which has psychoactive effects. In fact, there are now plenty of cannabidiol-based medications that have been approved by the FDA to treat seizures among patients suffering from epilepsy. Despite the many reports about Coca-Cola’s plan to partner with Aurora Cannabis in producing cannabis-infused drinks, the beverage company is still denying this. In an email sent to Bloomberg, the company spokesman confirmed that Coca-Cola is showing interest in being a part of the cannabis industry but there’s no deal with Aurora Cannabis or any other cannabis company yet. According to the company, they are observing the increasing growth of the cannabis industry closely and are considering the use of CBD, a non-psychoactive component of cannabis to be added as an ingredient to their beverages. The cannabis industry is evolving fast, however, no decisions have been made as of yet. The stigma surrounding cannabis use still haunts much of the world despite the fact that more and more states are now legalizing the use of cannabis. With the entry of a major drink label in the industry of cannabis, hopefully, things will get better soon. Recently, Canada initiated a move to legalize the use of marijuana and this move has made several manufacturers show more interest in producing products infused with cannabis. Reuters referred to this move as a “testing ground” until the US starts to completely legalize cannabis use. When Canada initiated the legal use of cannabis in October, some US states started to review their laws on the use of cannabis. From 2011, the sales of cannabis have consistently increased by $1 billion each year. Some of the European countries are now starting to follow Portugal and Netherland’s models of cannabis legalization. As they say, where the money trends will flow, the mega-corporations are expected to follow. If Coca-Cola will indeed push through with its plan to create beverages infused with cannabis, they will become the first ever non-alcoholic beverage company to produce a cannabis drinks. Eventually, other global players will follow suit and will start producing cannabis-infused beverages, medicines, foodstuffs etc.